Anne-Maree has been a sustainability thought leader for more than a decade, so it's no wonder she's delivered keynote addresses for a wide range of organisations and industries from Horticulturists to Humanitarians, Lawyers, Printers, Hotel Owners and Operators to Hair Dressers and Spa Operators, to Accountants, Academics, Engineers - even Economic Development Officers. Corporate Foundations (Philippines), Spa Association (Thailand), Public Relations Institute of Australia, Green Growth Leaders (Copenhagen), World Climate Summit (Copenhagen and Cancun), Hanson, Deakin University and Australian Campuses for Sustainability to mention but a few. 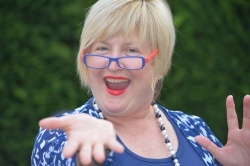 To learn what clients and or workshop participants say about Anne-Maree as a speaker, facilitator and trainer download the testimonials page. Here's a cross section of media interviews and presentations to get to know more about Anne-Maree. A short video can be found here. Get to know how Anne-Maree as she addresses Sustainability Drinks in Melbourne with a snap shot of her life story and how she got into sustainability, along with an address to the South East Business Network with a more personal presentation of her life called "Living the Dream". Anne-Maree Huxley speaks at Australian Campuses towards Sustainability (ACTS) 14th National Conference in Hobart. Discover some of Anne-Maree's thoughts about sustainability as part of the 2007 CSR Summit. Anne-Maree engages audiences and presents facts, stats and solutions. Here's a podcast of a workshop held in Perth on Carbon Opportunities and Liabilities. It's typical of Anne-Maree's engaging style and scope of knowledge. Anne-Maree talks to Under the Sun TV and Eastside FM. 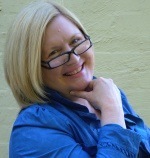 Anne-Maree Huxley delivers a Webinar for the Public Relations Institute of Australia (PRIA) on the trends for 2013 and beyond.